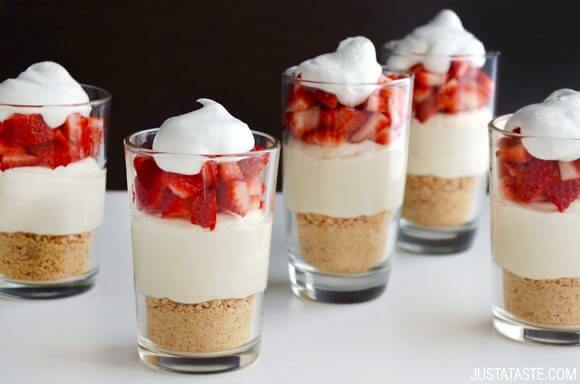 Cheesecake parfaits > yogurt parfaits. Don’t get me wrong. I am all for a layered breakfast classic, but when it comes to digging your spoon into a tall glass of deliciousness, there’s no party quite like a cheesecake parfait party. Sweeten up the deal by bypassing the oven in favor of a 15-minute no-bake cheesecake recipe and we have the makings for my husband’s new favorite dessert. “Try this!” are the words he’s usually greeted with every day when he arrives home from work. And before we could sit down for dinner, I was shoving a cheesecake parfait into his hand. 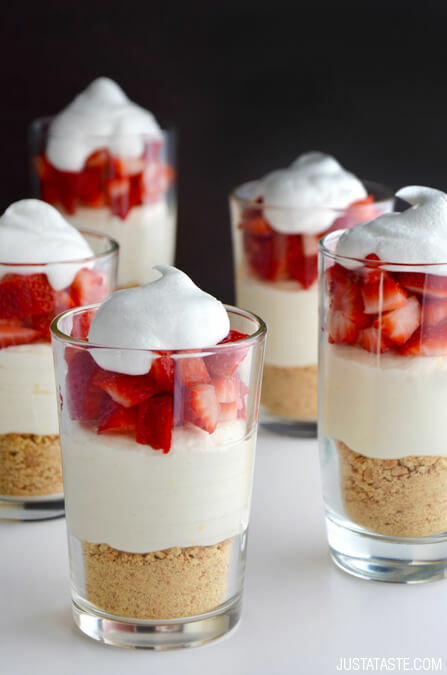 To make this short story even shorter: He ate not one, not two, but three Easy No-Bake Cheesecake Parfaits. And that, my friends, is how my CTT (Chief Taste Tester) proclaims a new recipe worthy of gracing these pages. 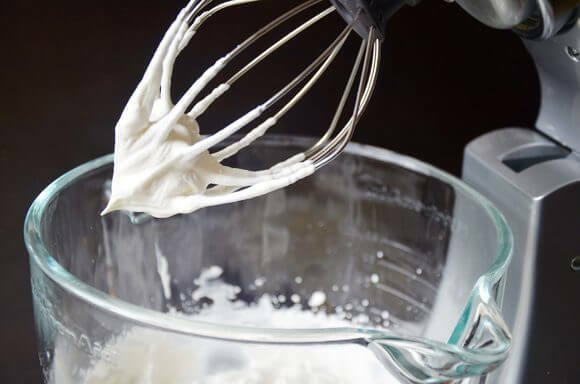 In the bowl of a stand mixer fitted with the paddle attachment, beat the cream cheese, heavy cream and sugar until smooth. 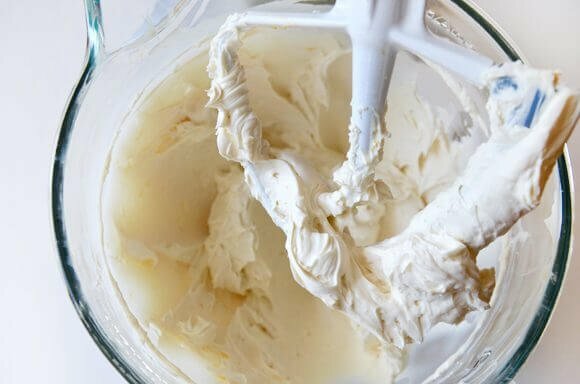 Add the lemon juice, lemon zest and vanilla extract and beat until light and creamy, about 3 minutes. 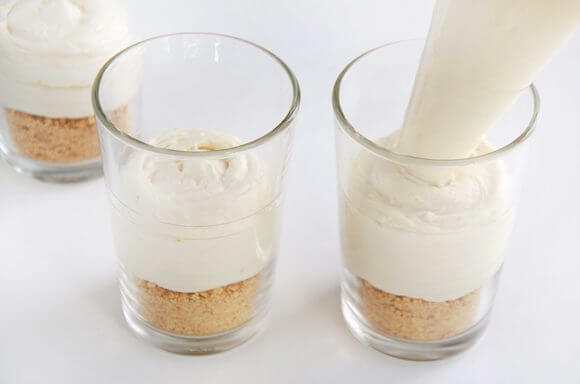 Add a layer of graham crackers to the bottom of each parfait glass. Top the graham crackers with a layer of the cheesecake then a layer of fruit. (See Kelly’s Notes.) Top each parfait with a dollop of whipped cream and serve. For easier assembly, transfer the cheesecake mixture to a sealable plastic bag or piping bag then pipe it into the glasses. All components of the parfaits can be prepared a day in advance and then assembled prior to serving.